Industrial end-users are under growing pressure to increase production from existing facilities. Greater process throughput, quality, profitability, and safety are key objectives. Coriolis meters, which directly measure both mass flow and density, provide the accurate measurements that are necessary to meet these demands. 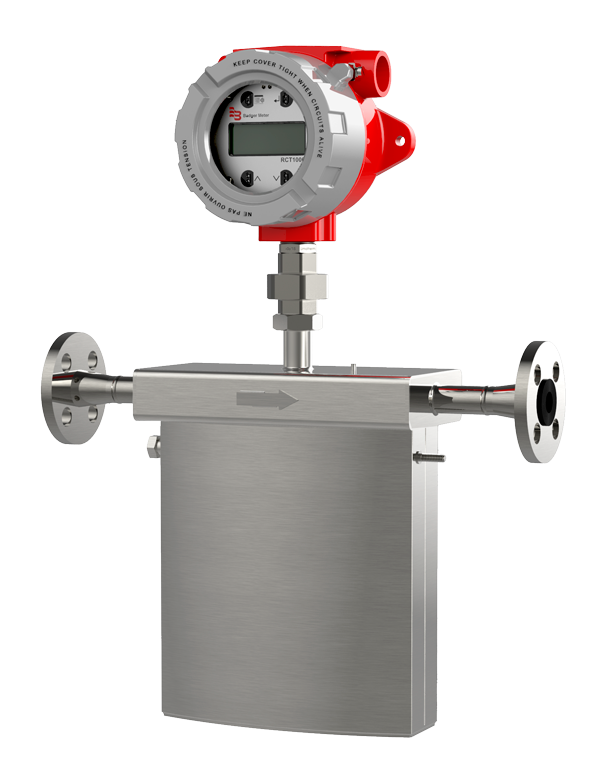 The Badger Meter RCT1000 Coriolis mass flow meter simultaneously measures true mass flow and density reading. The Coriolis meter identifies flow rate by directly measuring fluid mass over a wide range of temperatures with a high degree of accuracy. For fluids consisting of two liquids or a liquid with suspended solids, it can derive the concentration and mass of each fluid based on the density measurement. The Coriolis flow meter’s unobstructed, open-flow design makes it suitable for a variety of viscous, nonconductive fluids.